The Great Seal of the State of North Carolina was standardized in design by the North Carolina General Assembly in 1871. 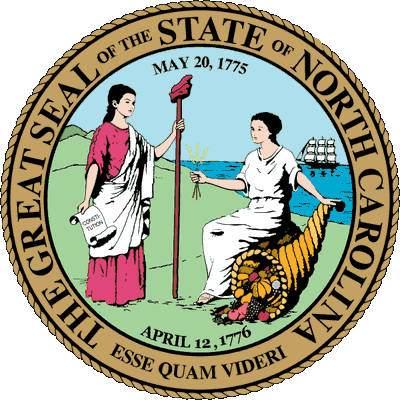 The Great Seal of the State of North Carolina was ratified May 2, 1983, with an effective date of January 1, 1984. A seal for important documents was used before the government was ever implemented in North Carolina. During the colonial period North Carolina used successively four different seals. Since independence, North Carolina six seals have been used. Shortly after King Charles II issued the Charter of 1663 to the Lords Proprietors, a seal was adopted to use in conjunction with their newly acquired domains in America. No official description has been found of the seal but it can be seen in the British Public Record Office in London. The seal had two sides and was three and three-eighths inches in diameter. The impression was made by bonding two wax cakes together with tape before being impressed. The finished impression was about one-fourth inch thick. This seal was used on all official papers of the Lords Proprietors of Carolina, embracing both North Carolina and South Carolina. When the Government of Albemarle was organized in 1665, it adopted for a seal the reverse side of the seal of the Lords Proprietors. Between the coat-of-arms, the word A-L-BE-M-A-R-L-E was fixed in capitals, beginning with the letter "A" between the Craven arms and those of Lord John Berkeley. The Albemarle seal was small, only one and seven-sixteenths inches in diameter and had only one face. The seal was usually impressed on red wax, but was occasionally seen imprinted on a wafer stuck to the instrument with soft wax. The government for Albemarle County was the first to use the seal; however, as the colony grew, it became the seal of the entire Province of North Carolina. It continued in use until just after the purchase of North Carolina by the crown. During the troublesome times of the Cary Rebellion, the Albemarle seal was not used. Instead, Cary used his family arms as seal for official papers. William Glover used his private seal during his presidency as well. When North Carolina became a Royal Colony in 1729, the old "Albemarle" seal was no longer applicable. On February 3, 1730, the Board of Trade recommended that the king order a public seal for the Province of North Carolina. Later that same month, the king approved the recommendations and ordered that a new seal be prepared for the Governor of North Carolina. On March 25, the Board of Trade presented the king with a draft of the proposed seal for his consideration. The king approved the proposed new seal on April 10 with one minor change - "Georgius Secundus" was to be substituted for the original "Geo.II." The chief engraver of seals, Rollos, was ordered to "engrave a silver Seal according to said draught ...."
The arrival of the new seal in North Carolina was delayed, so when the council met in Edenton on March 30, 1731, the old seal of the Colony was ordered to be used till the new seal arrived. The new seal arrived in late April and the messenger fetching the seal from Cape Fear was paid ten pounds for his journey. The impression of the new seal was made by placing two cakes or layers of wax together, and then interlacing ribbon or tape with the attached seal between the wax cakes. It was customary to put a piece of paper on the outside of three cakes before they were impressed. The complete seal was four and three-eighths inches in diameter and from one-half to five-eighths inches thick and weighed about five and one-half ounces. At a meeting of the council held in New Bern on December 14, 1767, Governor Tryon produced a new Great Seal of the province with his Majesty's Royal Warrant bearing date at the Court of St. James the 9th day of July, 1767. The old seal was returned to his Majesty's Council office at Whitehall in England. Accompanying the warrant was a description of the new seal with instruction that the seal was to be used in sealing all patents and grants of lands and all public instruments passed in the king's name for service within the province. It was four inches in diameter, one-half to five-eighths inches thick, and weighed four and one-half ounces. Sometimes a smaller seal than the Great Seal was used on commissions and grants, such as a small heart-shaped seal, or a seal in the shape of an ellipse. These impressions were evidently made by putting the wax far enough under the edge of the Great Seal to take the impression of the crown. The royal governors also used their private seals on commissions and grants. Lord Granville, after the sale of the colony by the Lords Proprietors, retained his right to issue land grants. He used his private seal on the grants he issued. The last reference found to the colonial seal is in a letter from Governor Martin to the Earl of Hillsborough in November, 1771, in which he recounts the broken condition of the seal. He states the seal had been repaired and though "awkwardly mended . . . [it was] in such manner as to answer all purposes." Following independence Section XVII of the new constitution adopted at Halifax on December 18, 1776, provided "That there shall be a Seal of this State, which shall be kept by the Governor, and used by him as occasion may require; and shall be called the Great Seal of the State of North Carolina, and be affixed to all grants and commissions." 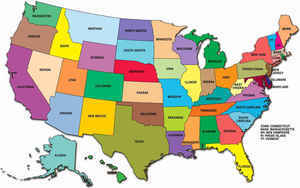 When a new constitution was adopted in 1868, Article III, Section 16 provided for ". . . a seal of the State, which shall be kept by the Governor, and used by him, as occasion may require, and shall be called 'The Great Seal of the State of North Carolina.' It also provided for the secretary of state to countersign with the governor. When the people of North Carolina ratified the current constitution in 1970, Article III, Section 10 contained provisions for "The Great Seal of the State of North Carolina." However, the wording which authorized the secretary of state to countersign documents was removed. On December 22, 1776, the Provincial Congress at Halifax appointed William Hooper, Joseph Hewes and Thomas Burke as commissioners to procure a seal for the State; however, there is no record that a report was ever made by this commission. The Congress provided for the governor to use his "private seal at arms" until the Great Seal for the state was procured. A bill calling for the procurement of a Great Seal was introduced in the lower house of the General Assembly on April 28, 1778. The bill became law on May 2. The legislation provided that William Tisdale, Esq., be appointed to cut and engrave a seal for the State. On Sunday, November 7, 1779, the senate granted Tisdale Ã‚Â£150 to make the seal. The seal procured under this act was used until 1794. The actual size of the seal was three inches in diameter and one-fourth inch thick. It was made by putting two cakes of wax together with paper wafers on the outside and pressing them between the dies, thus forming the obverse and reverse sides of the seal. An official description of this seal cannot be found, but many of the seals still in existence are in an almost perfect state of preservation. 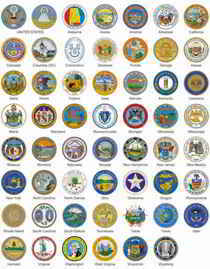 In January, 1792, the General Assembly authorized a new State seal, requiring that it be prepared with only one side. Colonel Abisha Thomas, an agent of North Carolina commissioned by Governor Martin, was in Philadelphia to settle the State's Revolutionary claims against the Federal Government. Martin sent a design to Colonel Thomas for a new seal for the State; however, after suggestions by Dr. Hugh Williamson and Senator Samuel Johnston, this sketch was disregarded and a new one submitted. This new sketch, with some modification, was finally accepted by Governor Spaight, and Colonel Thomas had the seal made accordingly. The seal press for the old seal must have been very large and unwieldy probably due to the two-sided nature and large diameter of the seal. Governor Richard Dobbs Spaight in a letter to Colonel Abisha Thomas in February, 1793, wrote: "Let the screws by which the impression is to be made be as portable as possible so as it may be adapted to our present itinerant government. The one now in use by which the Great Seal is at present made is so large and unwieldy as to be carried only in a cart or wagon and of course has become stationary at the Secretary's office which makes it very convenient." The seal was cut some time during the summer of 1793, and Colonel Thomas brought it home with him in time for the meeting of the legislature in November, 1793, at which session it was "approbated." The screw to the seal was two and one half inches in diameter and was used until around 1835. In the winter of 1834-35 the legislature enacted legislation authorizing the governor to procure a new seal. The preamble to the act stated that the old seal had been used since the first day of March, 1793. A new seal which was very similar to its predecessor was adopted in 1835 and continued in use until 1893. In 1868 the legislature authorized the governor to procure a new replacement Seal and required him to do so whenever the old one was lost or so worn or defaced that it was unfit for use. In 1883, Colonel S. MCD. Tate introduced a bill that did not provide that a new seal be procured but described in more detail what the seal should be like. In 1893, Jacob Battle introduced a bill that made no change in the seal except to add at the foot of the coat-of-arms of the state as part thereof the motto Esse Quam Videri and to provide that the words "May 20, 1775," be inscribed at the top of the coat-of-arms. By the late 19th and early 20th century, the ship that appeared in the background of the early seals had disappeared. 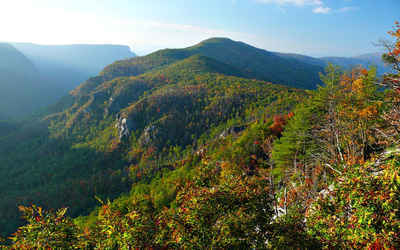 The North Carolina Mountains were the only backdrop on the seal, while formerly both the mountains and the ship had been depicted. Article 3 - The Governor. feet, and the contents of the horn rolling out. The late Jullian R. Allsbrook, who served in the North Carolina Senate for many years, felt that the adoption date of the Halifax Resolves ought to be commemorated on the State seal as it was already on the State flag. This was to "serve as a constant reminder of the people of this state's commitment to liberty." Legislation adding the date "April 12, 1776" the date of the Halifax Resolves; to the Great Seal of the State of North Carolina was ratified May 2, 1983, with an effective date of January 1, 1984. Chapter 257 of the Session Laws of North Carolina included provisions that would not invalidate any Great Seal of the State of North Carolina in use or on display. Instead replacement could occur as the need arose. When communications were transcribed by hand and tediously undertaken, seals authenticated official government documents. In this day of computers & instant communications, seals still serve the same purpose.